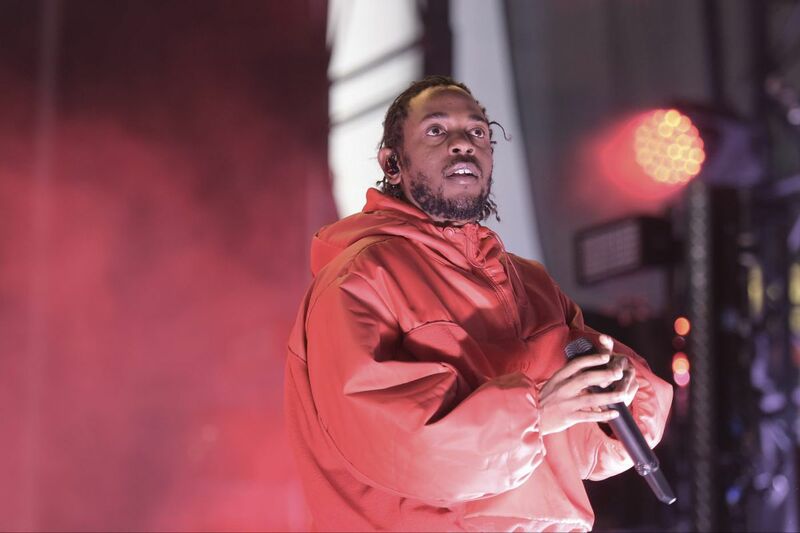 Kendrick Lamar performs at L.A. LIVE's Microsoft Square during NBA All Star Weekend 2018 on Friday, Feb. 17, 2018, in Los Angeles. Femi Kuti opens One People One World, his 10th album, with "Africa Will Be Great Again," an indictment of corruption and "economic destruction" in his native Nigeria that also sounds like a knowing twist on a contemporary American shibboleth. Against the blare of unison horns in dialogue with funky organ chords atop the Afrobeat polyrhythms he inherited from his father Fela, Femi Kuti envisions a time "when peace and love will reign" and "when we have first-class institutions, infrastructure and not political destruction." In the title track, he proclaims, "Racism has no place / Give hatred no space," and the idealistic generalizations gain power from the irresistible force of the vibrant, infectious rhythms. If any collective artist project captures a cultural/social/political moment, it is this head-charging Marvel hero soundtrack curated by rapper du jour Kendrick Lamar and Top Dawg boss Anthony Tiffith. Like 2017's multiartist Quality Control: Control the Streets Volume 1 (with Migos, Gucci Mane, Lil Yachty, and Cardi B), Lamar here leads a parade of hip-hop and future soul's progressive aesthetes in celebrating black pride and the innovative intersection of Afrocentric comix and film. Barring any collections of outtakes and/or live recordings, this is the final Montgomery Gentry album. Here's to You was completed just before Troy Gentry was killed in a helicopter crash in Medford in September, on his way to a show with his partner, Eddie Montgomery. The duo's hitmaking days of the early and mid-2000s were behind them, but the album is a solid reminder of their rugged appeal. The songs continue to extol the virtues of small-town life and the sometimes flawed but hardworking and hard-partying people who live there, set to country music heavily laced with rock. And Montgomery's burly baritone still plays nicely off Gentry's high tenor. If the material occasionally flirts with the generic, these two pros still know how to sell it. And they have a sense of humor about it. The opener, "Shotgun Wedding" (featuring "a boy in a bulletproof vest") seems to slyly send up country tropes.